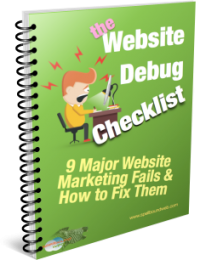 Instead of trying to get everything going in pieces – email campaigns, website landing pages, ads & retargeting – get it set up in one stroke. If you’ve set up your website and apps to run smooth like a machine, then people ( like staff and subcontractors ) can get things done faster and it becomes a lot cheaper and more effective. 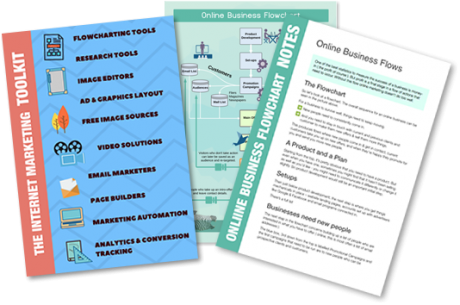 An online marketing system is cheaper and more effective than print advertising in most cases these days. Generally most people are looking on the internet using phones and tablets rather than in printed magazines. And if you’ve ever bought printed ads, you’ll know that costs are high ! The purpose of these setups is to create an online system that can produce a flow of contacts and prospects from online marketing. Once a basic sequence is set up, the apps ( email marketer, analytics etc ) will be in place to run additional promotion and campaigns later on – so later ones will be faster and easier. Online research and planning as covered on this page. The plan resulting from this will likely be a close variation of the image above. Help organising advertising accounts. Probably Facebook to start with and a retargeting service. Setting up 3 landing pages, for up to a 3-tier campaign as shown in the diagram above, or a variation based on your business and the research that was done. Sometimes one of these pages should be an informational page, purely to catch the visitor ID and retarget them later. 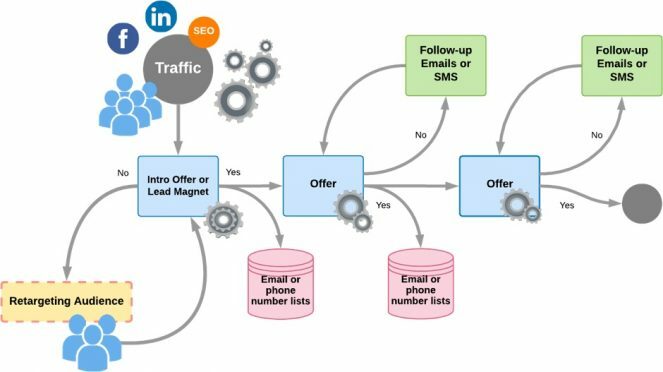 Linking in an email service ( like GetResponse or MailChimp ) or an SMS pushing service and adding forms to collect the opt-ins. Setting up 2 or 3 email or SMS sequences ( these email sequences will consist of about 3 follow-up emails each ). Setting up a PayPal payment page ( button ) if needed for 1 or 2 of the tiers. Linking-in an analytics service ( probably Matomo ) but often Google Analytics. Setting up the first ad if using paid traffic ( I recommend starting with Facebook because of the incredible targeting and the ability to start from $20 to $50 per day and then scale up if needed ). If it’s a saturated market ( like business offers and marketing where thousands of marketers are flogging their offers ) maildrops often work better. Creating a retargeting banner ad and setting it running on the retargeting network. Getting the marketing running so that it’s collecting the first few opt-in email addresses or phone numbers. It usually requires testing of a number audiences and ads to create a good flow. Copywriting for additional emails & website pages to the ones mentioned above, or for brochures and other promotional material. Buying the advertising, in-depth coaching on running the traffic, or testing & tuning the Facebook audiences and ads beyond the initial few opt-ins. Coaching or setup of advanced marketing tools like conversion tracking, Experiments, heatmap tracking and advanced campaign strategy. Note: Implementing online marketing setups with a website other than WordPress is harder and and we charge an additional $327. A website. WordPress is best in most cases ( reasons given here ). An advertising account with Facebook. An account with a retargeting service. An email marketing service. We currently use and are familiar with GetResponse ( about $20USD per month ). Or maybe a SMS marketing service that’s similar. ( Maybe ) a landing-page solution like Optimizepress @ $97USD per year, IglooApp $87USD or Leadpages @ $25USD per month. We can continue to run your marketing for you if you need this help. We provide ongoing Pay-Per-Click management and website management and can organise packages to reduce your costs.